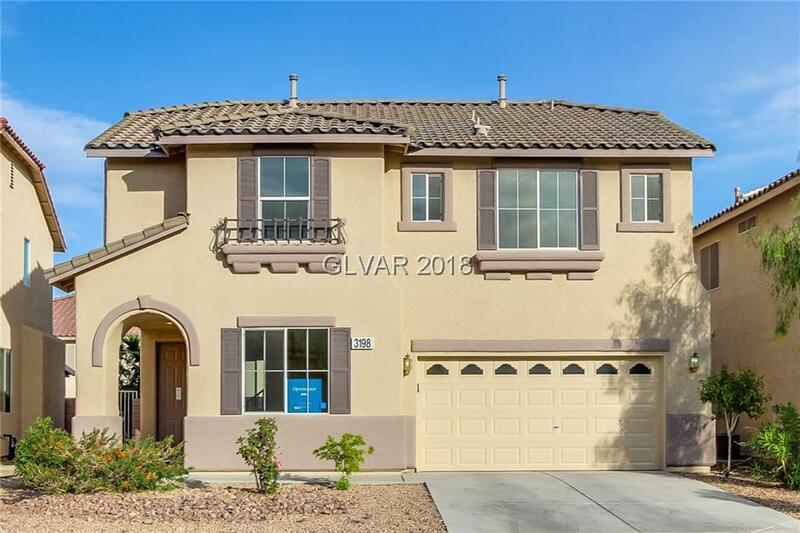 Dual-toned stucco and shuttered windows entice you to see more of this Vegas two-story home. Inside, warm tones line the interior, including the kitchen with breakfast bar and pantry. Upstairs, the master suite features two walk-in closets, dual sinks, a private toilet room, and a separate tub and shower. Home comes with a 30-day satisfaction guarantee. Terms and conditions apply.